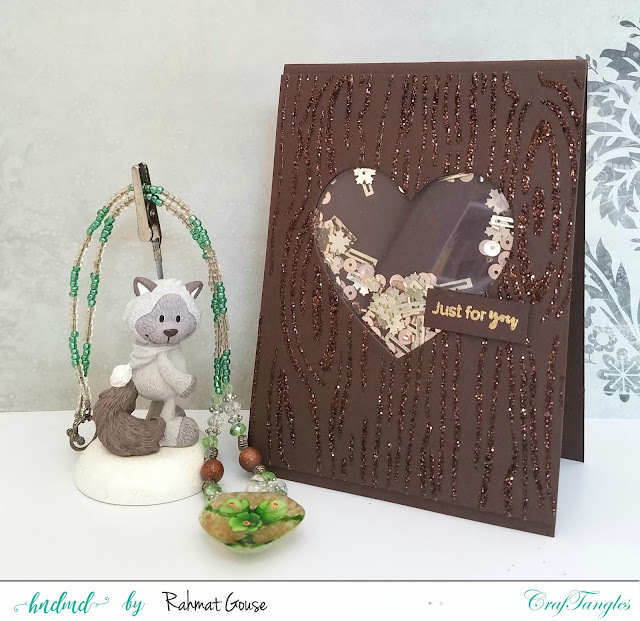 Hello all, I am up another inspiration for CrafTangles, please visit the hndmd blog to see the pictorial over there, on how this card is made. Its definitely looking gorgeous! Love the beautiful dark cardstock and the shine and sparkle! Awesome card!